A New study by a German research team wants to make you believe that playing video games will increase your likelihood of preforming risky behavior. This is it boys and girls: the definitive piece of research to tell you once and for all that video games are bad for you and are going to turn you to a life of crime….Or maybe it’s a poorly conducted experiment making wild assumptions based on very little findings. The present study investigated whether the consumption of risk-glorifying video games increases health-related risk-taking in real life. Participants were assigned to 1 of 2 conditions, whereby they either played a risk-glorifying video racing game or a risk-neutral video game for 25 minutes. Afterward, they were given the option of a saliva test in the context of a medical checkup. So, the goal of this study is to see if playing certain types of video games makes people less likely to take a saliva test. Let’s forget about all the rest for a moment, and ask “Why is not wanting to take a saliva test deemed risky behavior?”. Was not taking a useless medical test the best way for this study to convey risky behavior? Ask participants if they want to play a round of Russian Roulette, pet a chained up dog, eat at Arby’s; all of these options would of been a better determinant of risky behaviors. 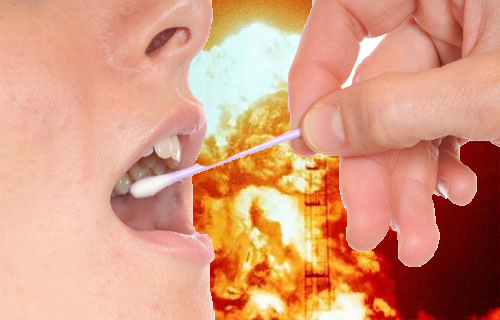 If given the option between taking a Saliva test from strangers who are conducting research on me and not taking a saliva test from strangers who are conducting research on me, I think I would choose the latter. Then again, maybe I’ve just been playing too many high-risk games. Ok, ok, maybe I’m just ridiculing for the sake of ridiculing. The participants were told that the saliva test “would identify a rare but important metabolic disorder”, but participants would have to wait 20 minutes for the results. Thus, those who didn’t take the chance to be screened were taking a risky chance. Let’s forget that some participants probably were smart enough to figure out that the study was most likely had something to do with the 25 minutes of video games they were made to play out of nowhere, is not wanting to sit around to see if you have a disorder than you most likely don’t have that risky of an action? It’s questionable. So what did the research find? Our data showed that exposure to risk-glorifying video games (video racing games) increases actual general health-related risk-taking behavior. That is, players of risk-glorifying video games were significantly less likely to participate in the health checkup test than players of risk-neutral games. Sure, alright. I certainly can remember one time after playing 30 minutes of “Mario Kart Double Dash”(Most likely deemed risk-glorifying) that afterwards I felt like I was invincible. The following 24 hours was spent on a risk-taking high in which I boxed a bear and let a 4 drunken four year old drive me around while I slept on the top of the car roof. But enough about me, if the difference between the group was enough of a change, then maybe they have something here. How many people did the study sample? Couple thousand?1000? More? 82 university students (43 women and 39 men). …ONLY 82 STUDENTS? And the sample was split between the two groups. So, each test was based on 40 or so students. That’s a ridiculously small sample size for a study seeking to make assumptions about an entire population of gamers. Even most college student research studies have more participants than that. Not to mention, if there’s one things college students hate doing it’s sitting around doing nothing. They have homework to do and beers to pong. WHY WAS THIS PUBLISHED? Oh, that’s right- because it’s a controversial issue. Only 12 of the participants who played one of the racing games (risk-glorifying) agreed to take the saliva test, compared to 28 who blew it off. Among those who played the other games (risk-neutral), a majority (24) agreed to take the test, while 17 opted out. Conducted the experiment more than once before publishing their results or making claims. Use a sample group that isn’t homogenous. But of course, doing studies like this is hard, and results probably won’t be as nicely round as their 82 sample group. So should we be concerned that video games are making our kids and us more risky? Not based on this study. Even if this study was conducted more effectively, the results wouldn’t necessarily mean that it’s only video games that are producing this result. One would have to ask if it’s media in general, or what other types of media bring about this change. Those questions weren’t asked. Link | This entry was posted in gaming, Uncategorized, video games and tagged risk, study, Video Games, violence. Bookmark the permalink.